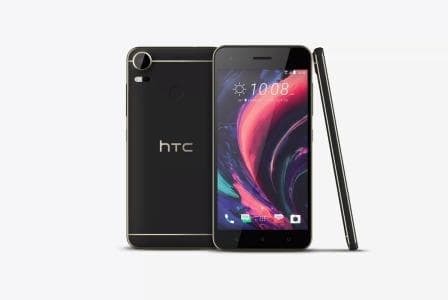 HTC has unveiled a new smartphone called the Desire 10 Pro that promises to fulfil the needs of the mid-range customer. Just like most HTC smartphones the Desire 10 Pro is priced way above what it’s worth. The HTC Desire 10 Pro shall retail for Rs. 26,490. The HTC Desire 10 Pro features a high-contrast metallic gold contour design along with matte finish. The HTC Desire 10 Pro will be available in Stone Black, Polar White, Royal Blue and Valentine Lux colour variants. The HTC Desire 10 Pro is a dual-SIM smartphone that is also equipped with a fingerprint sensor on the rear that can be used to lock your smartphone and secure apps from prying eyes. HTC has laced the Desire 10 Pro with Android Marshmallow that is topped up with HTC Sense that has HTC Freestyle which lets you customise your home screen layout and assign stickers to apps instead of the usual icons. The HTC Desire 10 Pro sports a 5.5inch full HD (1920 x 1080 pixels) resolution display with a pixel density of over 400ppi and is covered with Corning Gorilla Glass 3. The HTC Desire 10 Pro has been equipped with a MediaTek Helio P10 chipset that has a 64-bit octa-core CPU clocking in at 2GHz along with ARM Mali T860 GPU and 4GB of RAM to take care of Android Marshmallow. The HTC Desire 10 Pro has an internal memory of 64GB which can be expanded with the help of microSD cards to up to 2TB. HTC has put some extra efforts on the cameras. The 20MP rear camera has laser autofocus, auto HDR and Electronic Image Stabilisation. The humongous front 13MP camera has screen flash to add a little light to your selfies. The HTC Desire 10 Pro is powered by a 3000mAh battery that promises 20 days of standby and 19 hours of talk time. This translates to just over a day of usage. The connectivity options on the HTC Desire 10 Pro 4G LTE, microUSB, Bluetooth 4.2 and Wi-Fi. The HTC Desire 10 Pro will arrive in stores in the coming month.